The dining room tables were decorated with roses lovingly prepared for our Derby Day Lunch, so all could enjoy the festivities. Lunch included classics like pimento cheese and chicken salad sandwiches, served with refreshing homemade lemonade, with a mint garnish. 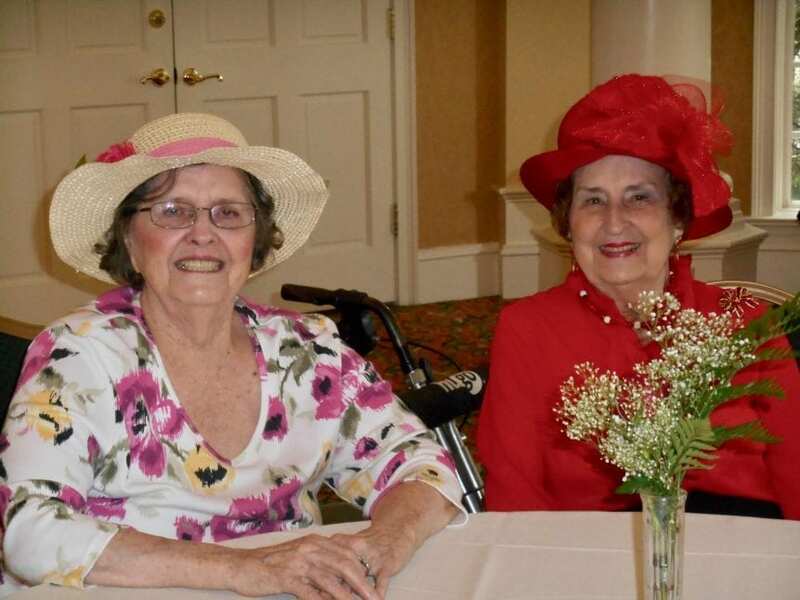 At the Derby Day Party, all the ladies came dressed in their finest, and wearing their gorgeous floral hats. The piano came to life with the songs of the season, beautifully played by the talented daughter of one of King’s Bridge Retirement Community’s own. With almost 75 people attending, the day was a fine example of senior living in Atlanta, with good friends making the most of community life together. The excitement of the day culminated in our own Parade of Roses, led by a King’s Bridge resident who still enjoys horseback riding, decked in her riding gear, and blazing a trail for those who came to mark this memorable event.